We are excited to announce our plan to continue our #WakeUpWeightWatchers campaign and share how YOU can be involved! As you may recall, Weight Watchers announced in February that they would be offering free programs to teens between the ages of 13-17 beginning this Summer. We were extremely impressed by the way our community of active advocates for eating disorder awareness and prevention came together to speak up against this initiative. Weight Watchers has postponed the launch due to issues with FDA regulations but we are concerned that they will continue with this plan to prey on our children. However, we are ready to take action! 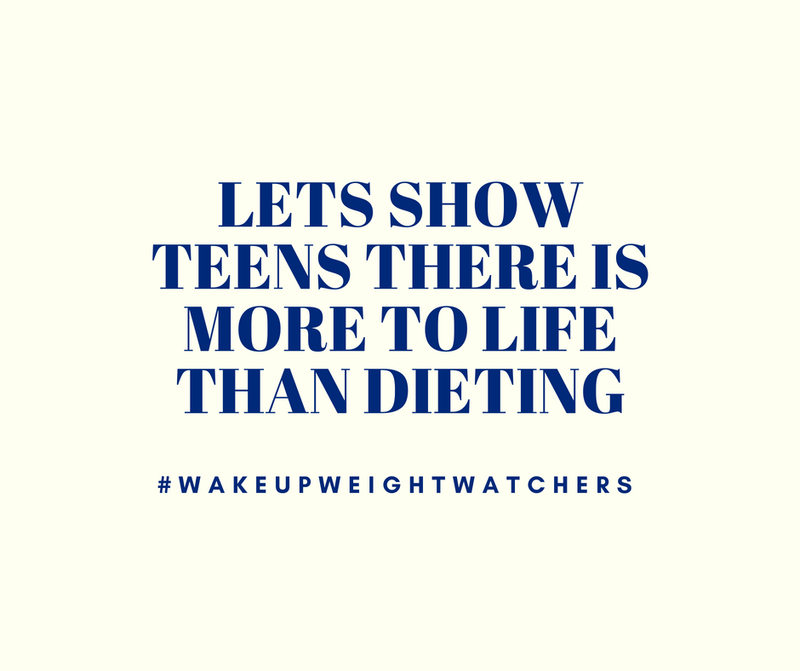 Just as Weight Watchers believes they will be offering a valuable free resource to teens and their families, we would like to do the same. Therefore, we are inviting members of our community like yourself to provide information and resources that will be compiled in the form of a free E-book for both parents and teens entitled A Mind and Body Wellness Guide for Teens and Parents. Content will address a range of subjects including self-esteem, body acceptance, developing a balanced relationship with food, coping with emotions, communication skills, and much more. Finding and providing a life of freedom outside of diet culture should not be a privilege. It is something we aspire to promote and encourage for young people and their families. By creating this resource, we will be making valuable information available to all. This downloadable guidebook will help young people and their families build healthier relationships with food and their bodies, a promise that Weight Watchers sells but cannot provide. We are looking for general educational information, personal stories, worksheets, journal prompts, challenges, tip lists and more! You can find more information on the project and what kind of content we are looking for by downloading the file here. If you plan to join us, please send an email to emilyc@balancedtx.com so we can keep track of those participating! Additionally, we have created images you may post on your social media accounts to accompany these messages. You can download them here.